A quick look at the films I'm really looking forward to in 2009. I'm not including Star Trek and Watchmen in this bunch simply because I'm covering the hype on those two elsewhere. This is an opportunity to spotlight a number of forthcoming releases for early 2009 from some of the biggest directors in the industry. Yes, it looks very interesting. For me, the fact that it is a David Fincher film will make it must see. His last film, 'Zodiac', was a masterpiece and of course he's responsible for 'Seven' and 'Fight Club'. 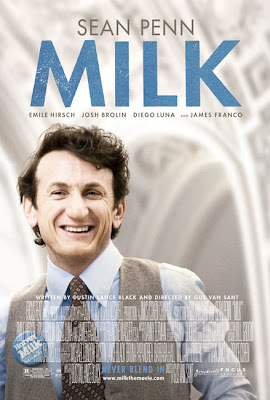 And I dearly want to see 'Milk' because it looks like Gus Van Sant has made the perfect film of Harvey's life leading up to his assassination. I would recommend wholeheartedly the DVD of 'The Times Of Harvey Milk' - a fantastic documentary that can reduce anyone to tears. I'm filling up now as I type this. 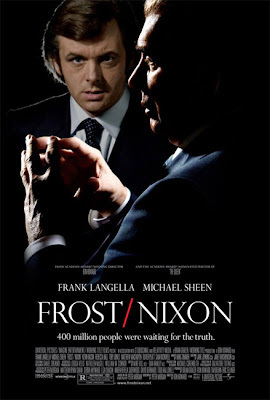 And 'Frost/Nixon' simply because it's Michael Sheen's moment in the sun. A cracking actor.